Engineering students at Quebec’s Université Laval just designed a gas-fueled car so efficient, you could travel further than the distance between Atlanta, Georgia and Seattle, Washington on a single gallon of gasoline. 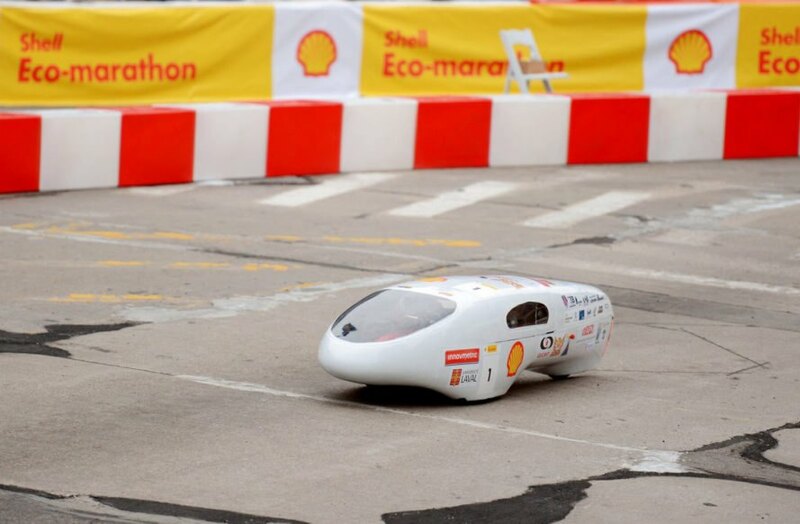 The students just won the Shell Eco-marathon Americas contest for internal combustion engine cars with their vehicle, the Alérion Supermileage car, which gets 2,713.1 miles per gallon of gasoline. Every year students battle it out in the Shell contest for fuel-efficient vehicles, and this isn’t the first time Université Laval students have snagged the prize. They’ve won seven of the competitions in 10 years. They beat out 30 vehicles designed by students. There’s a lot about the winning car that’s secret; the team wants to keep a competitive edge in the contest. But we do know the car seats one person. A former winning entry from Université Laval incorporated a Briggs & Stratton single cylinder 3.5 horsepower engine, although the team reportedly made a lot of changes to the engine in their recent winning vehicle. Thin tires helped minimize surface area contact, and a carbon fiber body kept the car lightweight. HowStuffWorks explained supermileage vehicles can also obtain all their mileage through a car body stripped down to only the elements necessary for speed and safety, as well as aerodynamic design. The front area of the Alérion Supermileage is small to reduce wind resistance. More than 100 student teams participated in the competition, entering their designs under different categories. There are two vehicle classes: UrbanConcept cars are designed to provide an answer to real-life road needs, while Prototype cars are more futuristic and streamlined; you probably won’t see them on highways any time soon. The Université Laval winning car was classified as a Prototype car in the internal combustion category (other categories include battery electric and hydrogen fuel cell). Université Laval just snagged their seventh win in 10 years at the Shell Eco-marathon Americas competition. 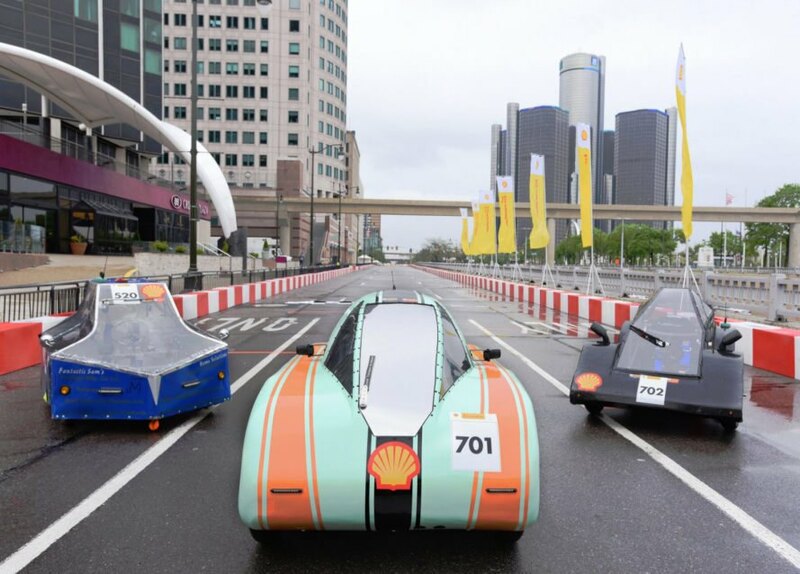 Students compete in the Shell Eco-marathon Americas contest every year. The Université Laval fuel efficient car can travel 2,713 miles on a single gallon of gas.